> Discover and plug the 3 biggest $$ leaks in your business so you can make more money right away! > Learn 3 simple proven ways to get calls booked so you can generate clients on demand and sell out your practice now! 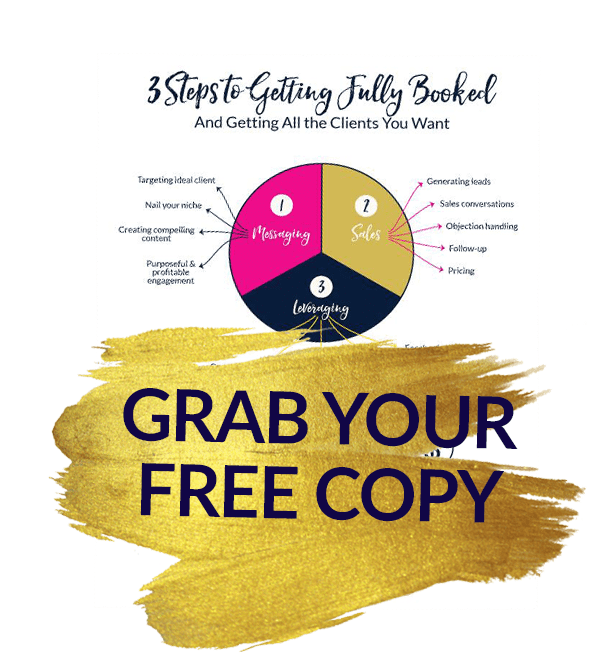 > Ditch the overwhelm and get focused with my 3 steps to Get Fully Booked system and finally get all the clients you want so you can make those $10K+ income months and leave the struggle, overwhelm and burnout behind! CLICK BELOW TO SIGNUP AND GET FULLY BOOKED NOW!